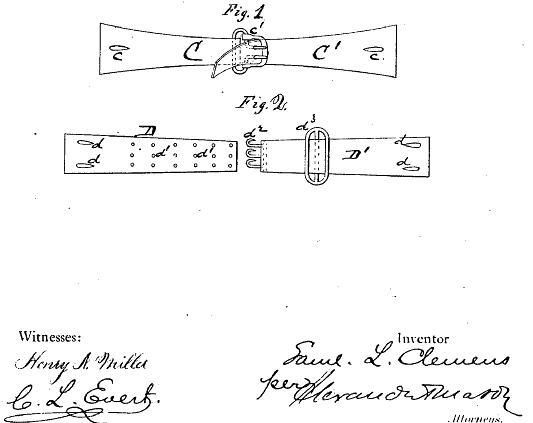 The device, writes the US Patent and Trademark Office, “was not only used for shirts, but underpants and women’s corsets as well. His purpose was to do away with suspenders, which he considered uncomfortable.” (At the time, belts served a mostly decorative function.) Twain’s inventions tended to solve problems he encountered in his daily life, and his next patent was for a hobbyist set of which he himself was a member. 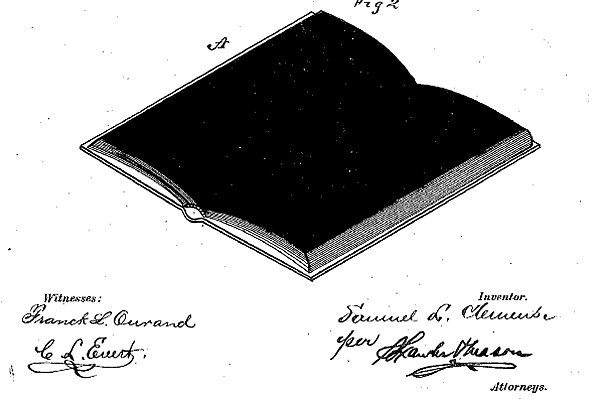 After the soon-to-be bra strap, Twain devised a method of improvement in scrapbooking, an avid pursuit of his, in 1873. 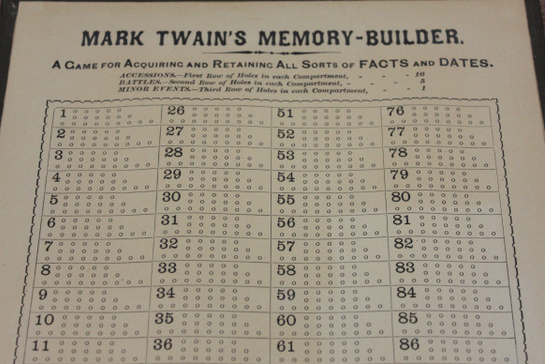 Twain obtained his final patent in 1885 for a “Game Apparatus” that he called the “Memory-Builder” (see it above). The object of the game was primarily educational, helping, as he wrote, to “fill the children’s heads with dates without study.” As we reported in a previous post, “Twain worked out a way to play it on a cribbage board converted into a historical timeline.” Unlike his first two inventions, the game met with no commercial success. “Twain sent a few prototypes to toy stores in 1891,” writes Rebecca Onion at Slate, “but there wasn’t very much interest, so the game never went into production.” Nonetheless, we still have Twain to thank, or to damn, for the bra strap, an invention of no small importance. He also invented The Bro!